~ Physician, Musician, Music Journalist, Writer, Photographer, Wild-life enthusiast, History buff. Let us try to imagine how we are remembered, faraway into the distant future. Centuries from now, if, despite all that we have achieved in this life, future generations simply do not recall, still less celebrate, any of it. Even worse, what if posterity rubs more salt into the wound, and maligns our legacy, attributing to us a horrible crime that we never committed. 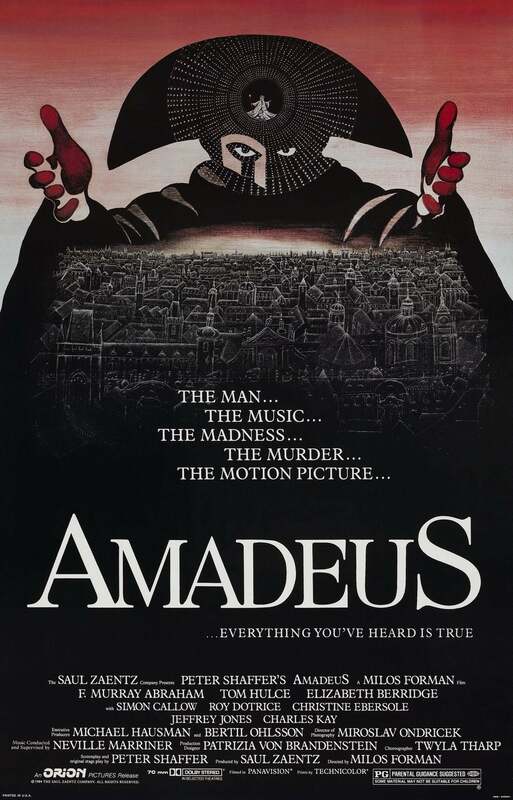 When, as a tribute to the recently-deceased Czech-American film director Miloš Forman, a screening of his award-winning film 1984 ‘Amadeus’ (a “fictionalised biography” of the great composer Wolfgang Amadeus Mozart (1756-1791) based on the 1979 stage play of the same name by Peter Shaffer) was scheduled by the Cinephile Club, I went, of course. It would be great to watch (and hear) it again on the big screen. But I have a few issues with the film. The strong American accent of Tom Hulce’s Mozart, but that’s just me. I accept it’s unavoidable as it’s an American production after all. There’s also his irritating laugh, meant to show Mozart’s impish sense of humour and supposed irreverence for authority figures, but it just seems exaggerated and forced. There’s also the impression created that Mozart wrote “with no corrections of any kind”, “music already finished in his head”, “as if taking dictation” from a Divine source. The truth is that Mozart did write sketches, from small snippets to extensive drafts, for his compositions. His phenomenal musical prowess was exaggerated to the point of mythology in the nineteenth century. The nineteenth century seems to have been the “century of mythologisation” in so many spheres, all over the world, even in our own Goa, but that’s another story. My biggest grouse with the film, however, is its slanderous depiction of Italian composer, conductor and teacher Antonio Salieri (1750-1825) as Mozart’s jealous rival, so possessed by envy that he might even resort to coldblooded, calculated murder. Shaffer’s play and Forman’s film adaptation did Salieri the double-edged favour of catapulting him out of obscurity back into public consciousness (I was eighteen when ‘Amadeus’ was released, and had certainly not heard of him before)I, but for all the wrong reasons. To be fair to Shaffer, the tarnishing of Salieri had begun much earlier, decades after Mozart’s untimely death in 1791 at just thirty-five, with rumours circulating that Salieri had poisoned Mozart. The background to this was the rivalry between the German and Italian schools of music, which spilled into Viennese circles as well. In the letters exchanged between Mozart and his father Leopold, references are made to “cabals” of Italians led by Salieri allegedly obstructing the progress of Mozart’s career. The two composers had their differences again when Mozart’s librettist Lorenzo da Ponte was in Prague preparing for the production of Don Giovanni when da Ponte was recalled to Vienna for a royal wedding at which Salieri’s opera Axur, rex d’Ormus was to be staged. Mozart was obviously displeased, but Salieri may not have had a hand in the decision. This persecution mentality could have been a mere figment of the imagination of the part of the Mozarts, but it lent credence to the conspiracy theory after Mozart’s premature death. In 1832, the German composer Albert Lortzing (1801-1851) composed a Singspiel ‘Szenen aus Mozarts Leben’ (Scenes from Mozart’s Life) LoVW28 describing a jealous Salieri obstructing Mozart’s career. The fact that the same year, Russian poet, playwright and novelist Alexander Pushkin (1799-1837) published his poetic drama ‘Mozart and Salieri’ shows how far the rumour had spread. Pushkin’s work in turn was the inspiration for an opera of the same name in 1897 by Russian composer Nikolai Rimsky-Korsakov (1844-1908) and a silent film in 1914 by Victor Tourjansky. The same Pushkin drama also inspired Peter Shaffer’s play ‘Amadeus’. But let’s examine the evidence, if any, to support the rumour. Salieri was a hugely respected composer in his day. His known oeuvre contains 652 works, with forty operas (no mean feat), several ballets, secular choruses and cantatas, five oratorios, several masses (including two Requiem Masses; he had no need to ‘ghost-commission’ one from another composer! ), six concertos, several symphonies, and so much more. He began his career as protégé of Christoph Willibald Gluck (1714-1787), and so ironically his music was much more in the German tradition of Gluck and less in the Italian ‘camp’, as it were. Although Italian by birth, he had lived almost six decades in imperial Vienna and was regarded by his peers as a ‘German’ composer. Salieri was also teacher to Beethoven, Liszt and Schubert among many others. Did professional rivalry sizzle between Mozart and Salieri? But of course; it would have been inevitable. But if anything, the written evidence of resentment weighs heavily on the side of Mozart, not Salieri. Had the roles been reversed and Salieri had died under uncertain circumstances before Mozart, would Mozart’s carping about Salieri in his correspondence have been used as evidence against him? Despite their rivalry, they actually saw each other as friends and colleagues, and even supported each other’s work. In 1788 when Salieri was appointed Kapellmeister, he revived Mozart’s Marriage of Figaro instead writing a new opera of his own. (In the film, much is made of Salieri planting a maid in the Mozarts’ residence to unearth the Figaro opera and complain to the Emperor. It didn’t happen). In 1790, when Salieri went to the coronation festivities of Leopold II, he took three Mozart masses with him. Mozart and Salieri even co-wrote a cantata for voice and piano, ‘Per la ricuperata salute di Ofelia’, considered lost but rediscovered in 2016. Salieri also suggested the premieres of several of Mozart’s works, including his Piano Concerto KV482, Clarinet quintet and the famous Symphony no. 40, even conducting the latter himself in 1791. Salieri also was teacher to Mozart’s younger son Franz Xaver, born the year Mozart died. Although Mozart’s premature death understandably led to much speculation, the consensus today seems to indicate kidney disease (acute post-streptococcal glomerulonephritis), compounded by medical mismanagement. But posterity should exonerate Salieri’s reputation once and for all. He deserves far better. It is already happening, with a revival of his music to much acclaim.